Think again: Under ordinary driving, the average commuter stops 40,000 times a year, and our tires serve us so well under the best circumstances we don’t give them much thought. But throw in some icy or snowy winter weather, or a few spring or fall rainstorms, and suddenly, we’re asking our tires to perform adequately under the worst circumstances. And when they’re worn, these conditions subtract even more from their performance potential. Wouldn’t it be great if you could count on tires that would perform BETTER when worn, even under poor road conditions, than even new tires can under ordinary conditions? Michelin recently invited AskPatty to be its guest at an event at its test track outside Greenville, South Carolina, where we spent the day driving a selection of new and worn tires under a variety of road conditions. We were given the opportunity to participate in several specific wet-road exercises designed to safely allow attendees to experience real-life examples of what can happen when tires lose their grip with the road. These wet-road exercises demonstrated what happens when better, unworn tires are mounted on the front vs. the rear of the car, how well standard original-equipment tires keep a minivan on the road vs. cheap replacement tires on a performance car, and stopping distances between new and used tires. In our first evaluation, we took turns driving two similar Toyota Camrys around a wet skid pad with used tires in front and new in the rear, and then again with new in the front and used in the rear. On the first loop, with the used tires in front, I was able to feel the steering wheel begin to vibrate as the tires reached the edge of their grip on the wet road. Rushing around the wet loop at speeds faster than 50 mph, I was able to sense impending danger as the tires began to chatter, and the steering wheel began to rumble. Of course, my natural instinct to lift off the gas kept us steering safely through the wet. In the second test, however, with the new tires up front and the worn tires in the rear, there was no sensation of chatter in the steering wheel as I pushed the car around the track, until VOILA, the car broke loose, and I was spinning around and around on the wet, slippery road. While it’s a fun experience on a safe course, such performance could be a disaster on a highway with other cars and obstacles around us. The point was well made: While it’s always recommended that owners replace all four tires at the same time, if budget allows only replacing two, this test easily demonstrated why it’s best to put the two best tires in the rear. Our next evaluation put drivers on a wet autocross course to demonstrate why it’s always best to replace worn tires with AT LEAST the original equipment installed on the car. What happens if you cheap out? Well, we took a lap in a Toyota Sienna minivan, pushing the big bulky family mover as fast as we could around sweeping turns and through quick lane-changes. Big bulky cars like this aren’t exactly known for their high-performance, because their high center of gravity tends to create some body roll that can be disconcerting — and even unsafe — at higher speeds under poor road conditions. On the other hand, people expect high levels of road handling from a performance car like a BMW 328i, but what happens when owners attempt to save money by installing lesser-performing tires? The difference was immediately apparent: After confidently piloting the minivan around the track, the BMW was much less stable at the same speeds fishtailing through the lane-change maneuvers, and skidding dangerously through the fast sweeping turns. Point made: Attempting to save money by purchasing tires that don’t offer the same performance as the originally installed tires can be a dangerous choice. First the chemistry mumbo-jumbo: these new tires feature a proprietary rubber compound with extreme amounts of silica and sunflower oil. Michelin says the silica provides the bonding strength and adherence to keep the treads on the road for high traction in wet conditions. 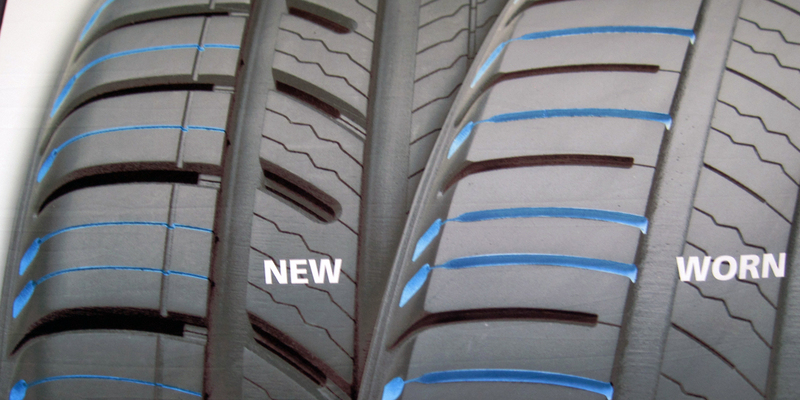 The sunflower oil allows the tire to grip on wet roads at lower temperatures. In the end, according to Michelin, this compound promises great performance both when the tires are new and worn. Next, and this is where the tires get really cool, are the expanding rain grooves: In most tires, as the rain grooves lose depth, the amount of water they can funnel away from the tire is diminished. The new Michelin Premier A/S with EverGrip has rain grooves positioned around the circumference of the tire with a special geometric shape that gets wider as the tread wears. This helps maintain the amount of water that the tire can channel away even as these rain grooves lose depth. 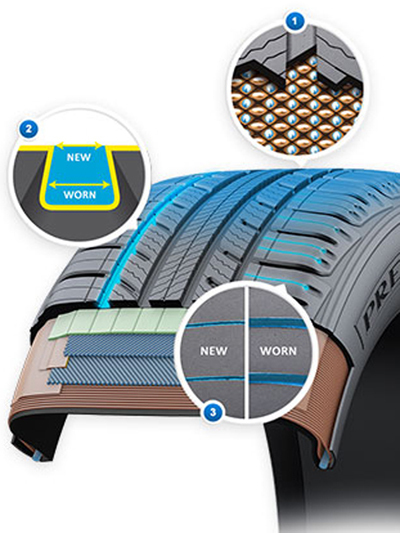 And, even more awesome are the tires’ emerging grooves: Initially hidden when the tire is new, new Michelin Premier A/S with EverGrip has another set of grooves along the tire’s shoulder that emerge as the tire becomes worn. More than 150 hidden grooves emerge to provide additional help in channeling water away and maintaining wet traction as miles are logged. Michelin says these three elements work together to provide exceptional traction in a range of conditions year round, providing consumers with shorter stopping, hydroplaning resistance, and increased grip when new and worn. 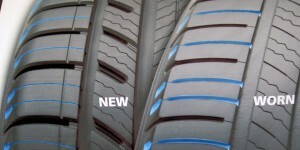 It sounds like a lot of technical talk, but it was easy to see how these new tires performed when we tested a used set of them back to back in wet panic braking against two other cars equipped with competitive, NEW tires. Have you ever been tempted to just stomp on your brakes to see what happens? 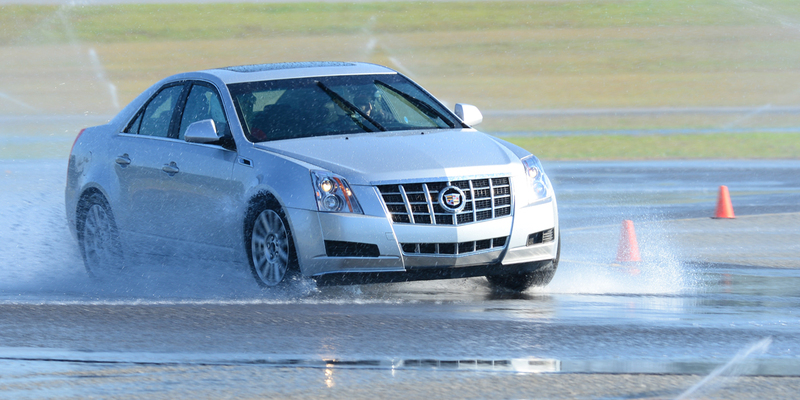 We did it six times at 60 mph on a wet test strip, using a GPS to record stopping distances in a Cadillac ATS equipped with new Goodyear Assurance Tripletred A/S tires and new Bridgestone Turanza Serenity Plus tires against a set of Michelin Premier A/S tires buffed to 5/32″ of tread. My stopping distances were 122.7 and 126.7 feet (37.4 and 38.6 meters) on the new Goodyears, 120.5 and 125.5 feet (36.7 and 38.3 meters) on the new Bridgestones, and 113.4 and 114.7 feet (34.6 and 34.9 meters) on the WORN Michelin tires. That’s from 12 to 7 feet (or 3.6 to 2 meters) shorter new against used. It’s hard to argue with those results! These new Michelin Premier A/S tires with EverGrip are available now at Active Green + Ross tire retail shops in 32 sizes (185/65R15 – 245/45R18) fitting a range of passenger cars including the Cadillac CTS, Ford Fusion, Nissan Altima, and Toyota Camry, among others. The tires start with a manufacturer’s suggested retail price of $156 (U.S. $) and offer a limited 60,000-mile warranty. The tires will be manufactured in North America at Michelin plants in Lexington and Greenville, S.C., Ardmore, Okla., and Pictou County and Bridgewater, Nova Scotia. And now, for a limited amount of time, Michelin is offering a special $70 rebate when you buy four passenger or light truck tires. 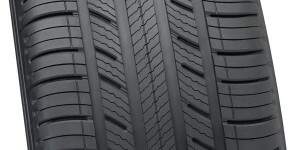 As part of its Spring Promotion, this $70 rebate is available on tire purchases made from March 31 to May 24, 2014, on a set of four (4) Michelin tires. 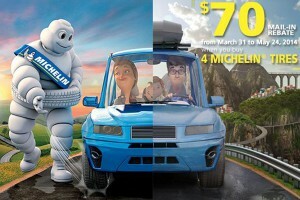 Find out more at www.michelin.ca. Don’t miss out on this great $70 rebate from Michelin! 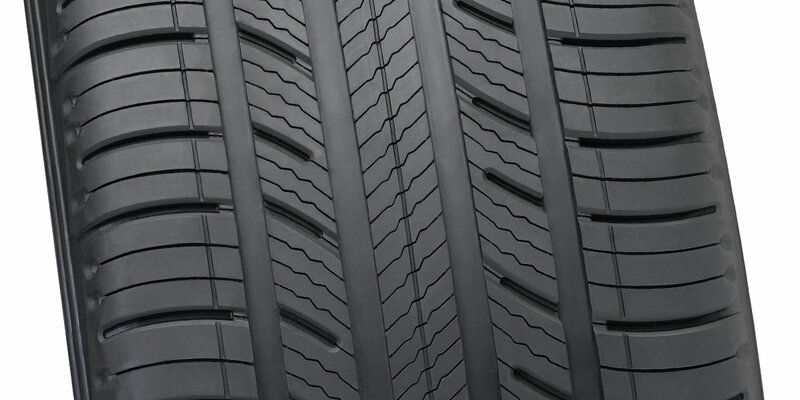 Let Active Green + Ross help you find the perfect tires for your vehicle. Click here to find an Active Green + Ross retail outlet near you.